Polarized lenses are specially cut at opposing 45¡ degree angles. The lenses are molded and are of a high quality. They have folding temples for easy storage. 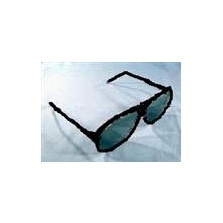 For viewing stereo pairs projected through left and right polarizing filters.